As the interest rate continues to decline and the prospect of a further rate cut looms on the horizon, retirees who rely on interest for their incomes are coming under increasing pressure to lower their expenditure. Where youngsters still working and paying of cars and mortgages have seen a dramatic reduction in their finance costs, so pensioners have seen their retirement income steadily decrease. Recent studies also show that preparing for retirement requires a lot more than the 75% of final salary at retirement to continue living in the comfort that you were accustomed to. The rule of thumb nowadays would be in the region 16 x your final years annual salary in cash upon retirement that, if invested correctly, would enable you to live comfortably through your retirement. For many pensioners it is too late to start considering improving the return on their investments and the only option would be to supplement your income in one way or another. Here are a few ideas to supplement your income. 1. 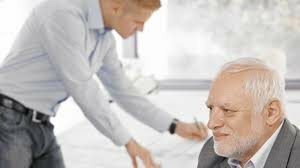 Depending on your position at retirement and your experience, the most obvious way to supplement your income would be to consult or mentor employees at your last employer or offer your services to other companies. Mentorship is an increasingly important part of growing the skills base in South Africa where BEE appointees may not have the skills and knowledge that you accumulated over the years. Another important consideration for companies these days is that the labour laws are making it very difficult to fire people who are not producing as required and in many positions, a more experienced part time worker would be preferred by the company. 2. If there is a home industry near to you, consider making some of your tried and trusted recipes that the family have all enjoyed over the years and selling them. If there are offices near to where you live consider offering to make lunches, sandwiches or cater for their staff, you will be amazed at how few young people have the time or inclination to cook for themselves these days yet they still hanker after a home cooked meal or a real sandwich! 4. There are numerous functions available to Pensioners on a part time basis depending on your experience. Bookkeeping, administration and filing, telemarketing for Estate Agents and perhaps pet sitting. When we are in the position of needing to supplement our incomes we really need to look a little out of the box and the sense of purpose and achievement are all important. Many pensioners idea of retirement does not meet their expectations from a financial or a social perspective and if we consider it carefully, the one aspect we are missing is human interaction.